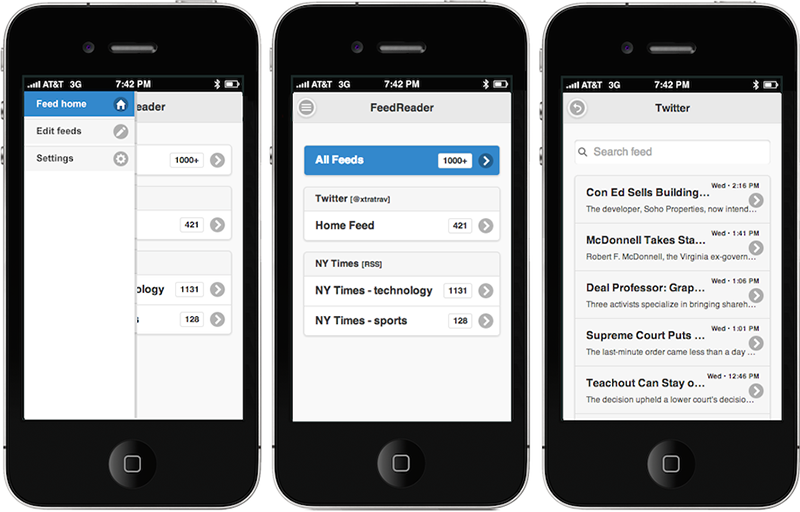 An app that aggregates feeds (Twitter, Facebook, RSS, etc) and displays them in an integrated interface. 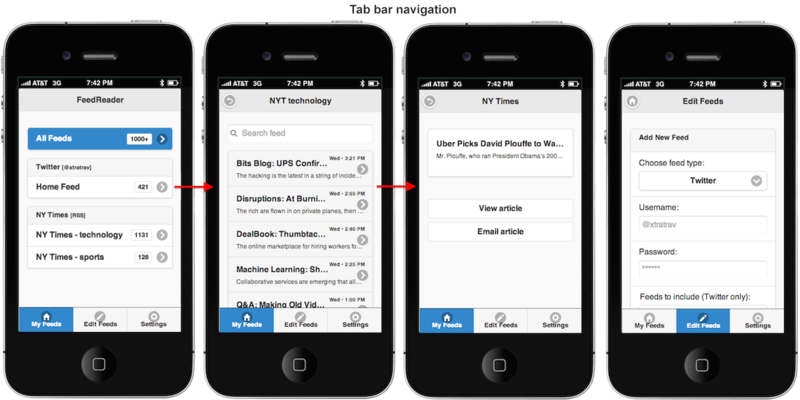 The interactive demo was created using the jQuery Mobile UI framework. The feeds are separated into modules by account type (Twitter, Facebook), but can also be viewed in an integrated thread (with simplified formatting due to discrepencies in feed metadata). 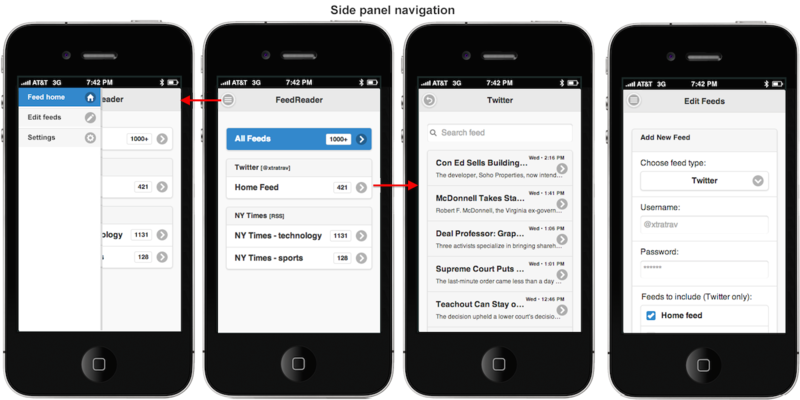 Each feed can be viewed individually in chronological list view from a secondary screen with the option to view a specific entry on third screen, from which it can be shared (depending on the sharing features supported by the specific account API). The configured feeds can be edited from the Edit section, and each account can be added globally (all feeds associated with account) or granularly (only specific feeds).